Ready To Get Rid of Ulnar Tunnel Syndrome Once And For All? You want a permanent solution for your pain. And you want that solution to be safe, fast and effective. 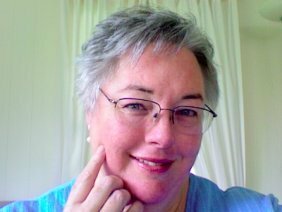 Here's how the Ulnar Tunnel Syndrome Self Care Toolkit will help you reach your goals. The stretches and exercises in your Self Care Toolkit have been developed over 22 years of working with injured people. I have chosen the stretches and exercises that work best for Ulnar Tunnel Syndrome so your recovery is as quick as possible. Your body and your injury are unique to you. Your stretching routine should reflect that uniqueness. Starting with the core stretches in your Ulnar Tunnel Syndrome Toolkit, I'll show you how to make tiny changes that will yield huge benefits by helping you create custom stretches that best suit your body. "Your program was exactly what I have been looking for. I have thoroughly read the first chapter, done the stretches and am listening to the first audio section. The stretches are a little different from anything I have seen before, which is cool. I don't know if it is just psychosomatic or what, but I feel a lot of difference in my pinky already." "Sharon, your program has not only helped me physically but has educated me as well in the process. And isn't it funny how having an RSI can also lead one to make changes that deep down we always wanted to make, but never would have unless forced to--like slowing down to enjoy life a little. You know what I mean? Guess that is 'the good' that comes with the bad." “I am really going to enjoy putting into practice everything that your program is teaching me. I really feel like I know exactly what I need to do and it's just a question of doing it consistently! Thank you Sharon, you really are wonderful and a great source of inspiration to me." "Cheaper, faster and much easier than surgery or doctor's appts & pills. As an ex-massage therapist turned geek, I was thrilled to find your Ulnar Tunnel program. I had studied my old charts and used ice (which also helps) and cross-fiber massage, but was unable to get to the really deep muscles effectively. This program lists all the exercises, and conveniently proscribes various "sets" of exercises for specific trouble spots (e.g. tingling/numbness in ring finger and pinkie) for immediate (within 24 hrs) relief. I highly recommend it as it will dramatically lessen sick days, disability, etc in workers." "It's more than fair to say that you have changed my life, Sharon. You saved my life. I don't know where I would be if I hadn't found your programs. I'll never stop talking you up!" I am always searching for more ways to help sufferers of ulnar tunnel injuries. With over 30 years of studying these injuries, I've built up a body of knowledge about healing and recovery that is quite uncommon... A treasure chest of simple, easy to understand, logical information that makes recovery easier. Knowing this "insider" information is like having the final piece of the puzzle - the master file on how to recover from ulnar nerve pain. 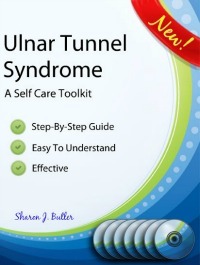 I hope you enjoy great success using the Ulnar Tunnel Syndrome Self Care Toolkit!